Pot roast with veggies and a bubbly fruit crumble for dessert sounds typical for Sunday supper when there’s more time to spend in the kitchen. In reality, a pot roast requires very little actual prep time. 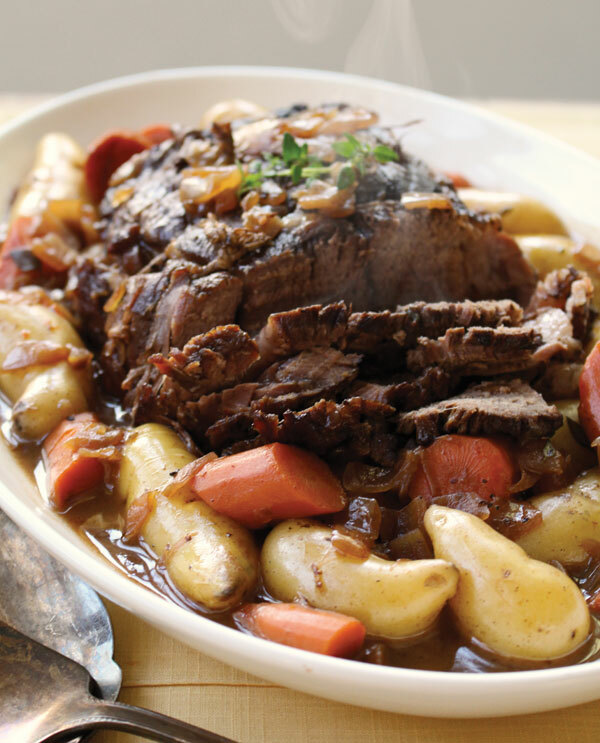 The oven does all the work, so you can toss it in after school and have perfect pot roast by dinnertime. 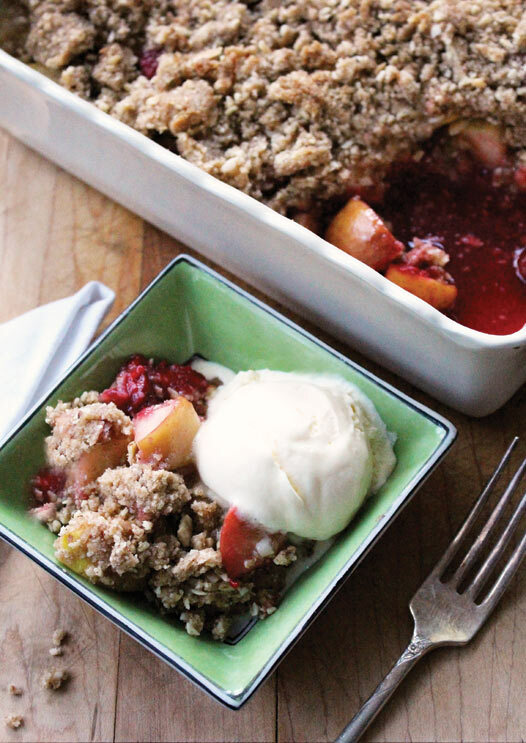 A baked fruit crumble can share oven space. After all, anytime you’re able to have dinner with your family is a special occasion. Pat your roast dry with paper towels and season it generously with salt and pepper. Set an ovenproof pot or braising dish over medium-high heat, add a drizzle of oil and brown the roast well on all sides. Transfer it to a plate. Add the onions and carrots to the pot and cook for 3–4 minutes, until softened; add the balsamic vinegar and cook, scraping up any browned bits from the bottom of the pot for 3–4 minutes. Return the roast to the pot and add the stock, wine and thyme. Cover and roast for 90 minutes. Then uncover and add the new potatoes, stirring to submerge them in the cooking liquid. Return to the oven to roast for another 90 minutes. Meanwhile, combine the apples, berries, sugar and cinnamon in a 9- or 10-inch baking dish; toss with your fingers to coat. In the bowl of a food processor, combine the flour, brown sugar, almonds and butter and pulse until well combined and crumbly. Sprinkle over the fruit, squeezing it as you go to create larger clumps. Slide it into the oven alongside the roast and bake for 1 hour, until the fruit is tender and bubbly around the edges. While you eat the main course, return the crumble to the over to keep it warm. Serve with vanilla ice cream.